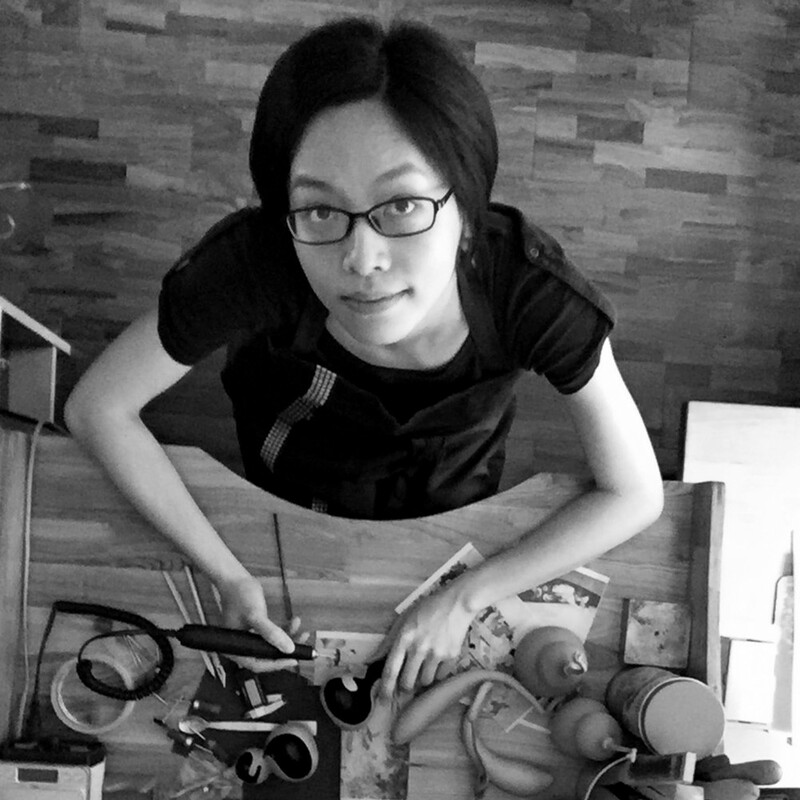 Tala Yuan is a contemporary jewellery artist living and working in China. By creating work based on her reflections of life, examination of culture and pursue of mental grounds, she reviews her understanding of the Chinese culture, while searching for her own identity. In fact the word rethinking would be more precise. I constantly rethink my ways of creating. I’ve been trying to create a free state of mind in order to remove my borders. Do you need to be a rebel to enjoy your cutlery and bowls? You don’t need to be rebel, because my cutlery and bowls were created to be used. How to use them? That’s a dialog between the user and the pieces. Do you use your own cutlery and bowls? Yes, I like to use them on a special day with my family. Do you think tableware can still be improved? If yes, in what way? Of course, the development of tableware has a close relationship with eating habits and food culture. The differences of the culinary culture are my creative starting point. These differences shape new possibilities for eating experiences. My first idea was to use only natural materials. The pieces were meant to be light in transportation, practical for use and aesthetically beautiful. I collect all kinds of materials in my daily life. I find materials at my local market, I buy them online, I receive them as gifts from my friends, and I harvest them in nature. I am preparing some new spoons for the 5 Years Experimental Gastronomy in Amsterdam. I am excited to experiment with my new jewellery and cutlery pieces, I have had some very inspiring dreams. I was alone at my favourite vegetarian restaurant Green Vega, slowly tasting a bowl of rice noodles soup, that use all the freshest vegetables and soy products with the least amount of spices and oil, and the simplest cooking methods. The food tasted so incredibly good. Creation is a kind of practice, practice is a way of life, through practice in life, let the heart be filled with wisdom. My 3 favourite pieces are Laia Ribas Valls’ Playful Spoons, the Typewriter Spoon by Stuart Cairns and the Gold Caliper Knife by Nils Hint.